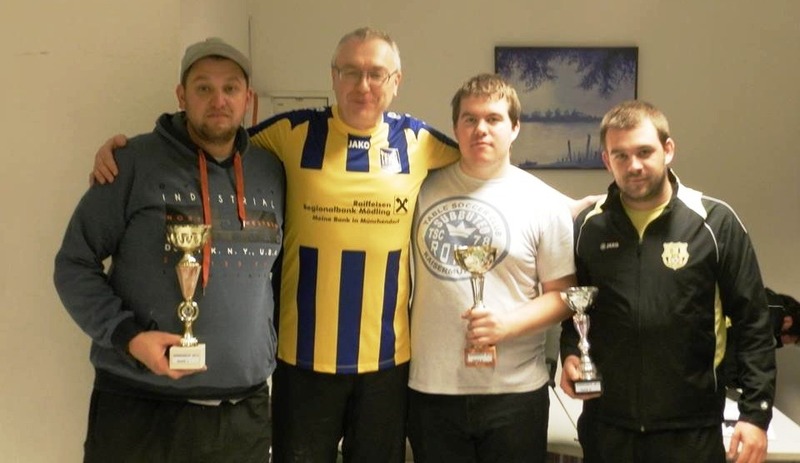 18 players attended the first Anninger Cup, a combined FISTF Challenger and WASPA Regional Tournament in Ebreichsdorf (Austria), hosted by the youngest Subbuteoclub in our country, TFK Niederösterreich. After a whole day of exciting games the favorites met in the final. Wolfgang Leitner (TFC Matterburg) and Alexander Haas (TSC Royal 78), both top ranked players in the world and lucky owners of “Anninger Cup Wild Cards”. Wolfgang was clearly the better player that day and able to win 5-0. The trophy for the 3rd place was taken by Christian Haas from TFC Wiener Neustadt. The Anninger Cup was a big success, we look forward to see more players next year!